Hu is more than a campaign or a collection of footwear models, it represents a belief. Hu, a name based on the first syllable of ‘Human’, seeks to bring us together as people; celebrating both our cultural differences and our collective power. 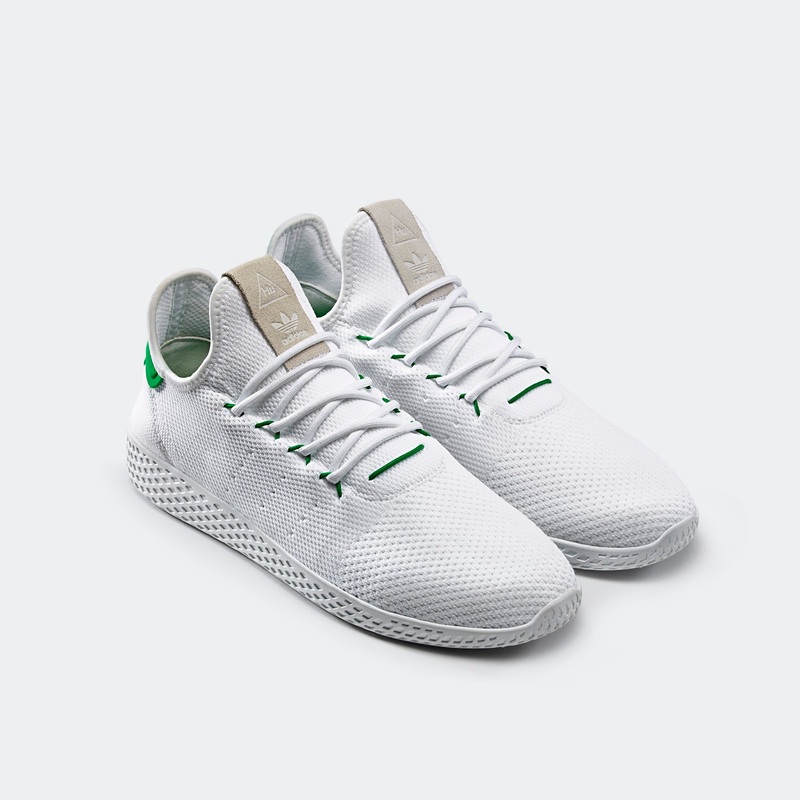 The Tennis Hu pay tribute to the past, with colorways based on two of adidas’ most iconic tennis shoes. 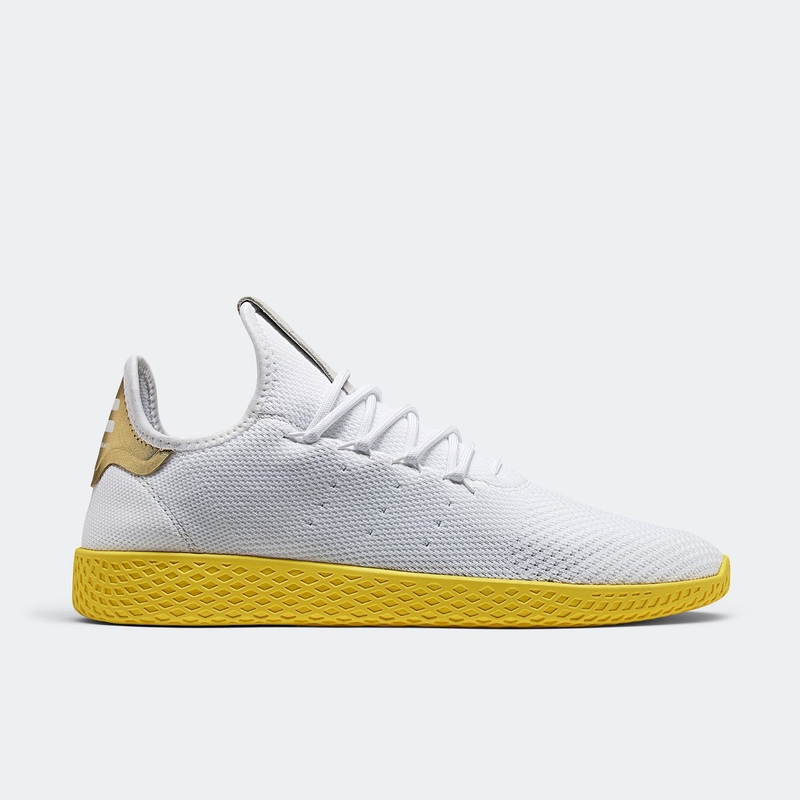 The white pair with green detailing is a homage to the Stan Smith while the yellow lacing, yellow sole, and golden heel tab are hallmarks of the Forest Hill, the 1970s court classic. The Tennis Hu is a breathable summer model which boasts adidas’ key footwear technologies in an updated execution. 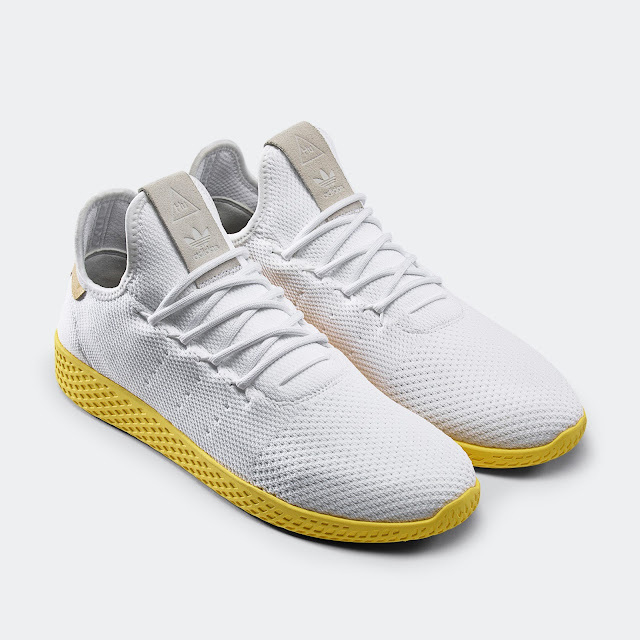 The shoes’ white upper is constructed using flexible Primeknit. Its distinct fabric texture continues on to the lightweight EVA midsole as pronounced waffle structure. The lacing system is built into the shoe’s body and the tongue features a suede tab with the adidas Originals insignia. For the Tennis Hu, adidas and Pharrell take the components of a modern, lightweight runner and cast them on a casual tennis model. 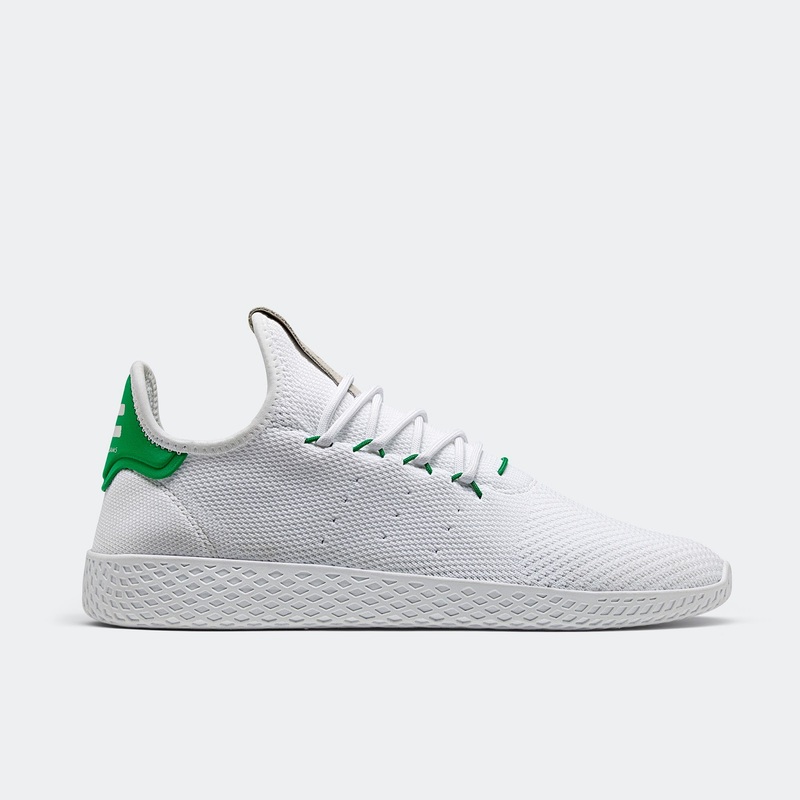 The adidas Originals | Pharrell | Tennis Hu drops on Saturday, 6 May 2017, at selected retailers.